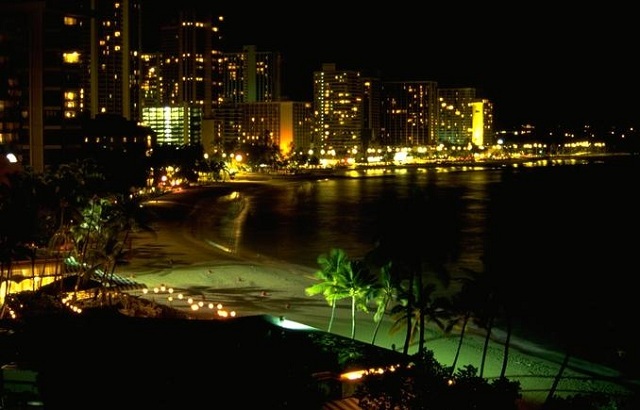 Sleepless in Honolulu, capital of Hawaii. I am alive and well after a five hour delay at the Seattle airport while the windshield of the airplane was replaced. On January 10, 2013, Lawless America...The Movie will continue its filming of victims of government and judicial corruption in Honolulu, followed by Maui on January 12. The windshield on the airplane broke. This is the second flight of the trip and the second four to five hour delay for repair. It's 4:00 am Hawaii Time as I write this update. I did sleep on the flight, but I am just blitzed. I need to be up and setting up equioment by 9:00 am. I will never again rent a car without a GPS. I spent much of my time lost while driving in Washington. The GPS makes it so simple. It took me three gas stations and one wrong courthouse asking for directions before I finally got to Irene Holmes and Tim Kittleson's hearing this morning in Olympia. If you haven't watched the video of Irene, I encourage you to do so. Judge Christine Pomeroy of Thurston Countu Washington has already allowed her four blonde-haired blue-eyes children to be put into foster care; now she is posied to terminate their parental rights because they have a slight learning disability. I was decidedly not well the morning of January 9 after observing two hours of the hearing on termination of parental rights of Irene Holmes and Tim Kittleson. It was one of the most ridiculous, frustrating experiences of my life to sit there. A so-called social worker named Mr. Pettit gave testimony on why the parental rights should be terminated. He said it was because one child sprayed another with a water gun; one child was climbing on a couch; and sometimes the children are seen overeating. Then a woman who claimed to be a psychologist or some such thing with a masters made no sense at all when she talked about the anger the eldest child showed after being moved from foster home to foster home. She gave no explanation as to how this relates to termination of parental rights. The attorneys for Irene and Tim were nice, but I would have been asking what in the world any of this has to do with terminating parental rights. I was pleased to learn that the video I shot of Irene will be played for the court. Also go to www.YouTube.com and see her sing one of the songs she wrote for her children. Judge Christine Pomeroy has already long since taken four children from these sweet folks, so it does not look good. Their only "offense" is that they have a slight learning disability. We must get the government out of the parenting and child business. I love Irene and Tim, and my heart breaks for what they have endured and are continuing to deal with. I have told everyone who I have come in contact with today about Irene and Tim's situation, and mouths opened in disbelief. I was so proud to be part of the packed courtroom today. The gallery was pretty full with about a dozen of the people who were at the filming. And you better believe that sent a message to the judge. I spoke to the "prosecutor" out in the hall. I told him he should be ashamed of himself and that he should find another job. I also assured him he will be a star in the movie. He acknowledged watching the videos that I posted. I had called the judge's clerk to ask permission to film, but I was not extended the courtesy of a call back. I'm sure the judge knew who I was when I walked in wearing my Lawless America cap. Folks, I have 50,000+ emails and many hundreds (if not thousands) of voice mail messages. Please do not take it personally when I don't respond. It is way past out of control. I keep trying to get work organized for volunteers, but we haven't made much progress. Lawless America badly needs a full-time employee to direct traffic. Please don't be upset with us if you haven't gotten a response. We will ultimately get to everyone, get everyone filmed, etc. I am also continuing to be completely exhausted after almost 7 months of this, 16-hours-a-day. I rally for the filming, but then it's hard for me to have the energy to accomplish what I usually would be able to do. 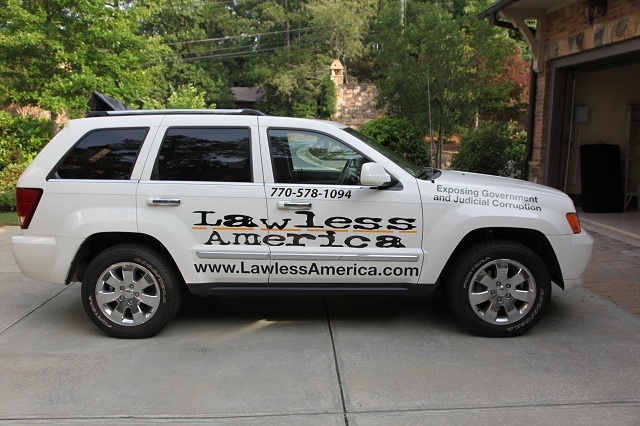 We have added over 2,000 "followers" on www.facebook.com/lawlessamerica in the last 48 hours, so let's keep it up. Ask your friends to "follow" (new term Facebook is using).